Some people from a distance look like they have a wonderful life — no discernible problems, everything looks good. But when I get to know them personally, I discover there’s more to their life, and it’s not all good. I find that strangely comforting — they are just like me, they have problems, too. No one has a problem-free life, everyone has challenges. It’s not a matter of if you have problems, it’s a matter of how you handle them. We all at one point or another must face the dragons in our life. Ignoring them does not make them go away. 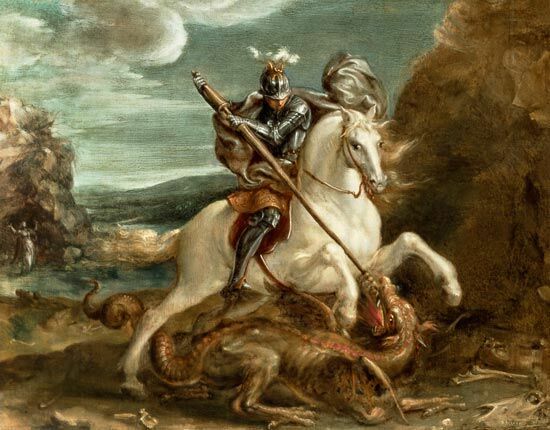 Here are some practical tips on dealing with the dragons in your life. Some problems are relatively minor. They just need some creative thought and action. They are solvable. They may not be easy, but with persistent effort, they can be resolved. These are called ‘technical problems.’ You understand the issue and you have the solution. Just do it. And then there are problems that are much more difficult. The problem is evident, but the solution is more complicated than a tweaking here or there. This is the nature of many problems in our current cultural context. These problems are complex, serious, and with no obvious fix. And they just will not go away. These are called ‘adaptive problems.’ People (including you) will have to change and adjust to reality. When change requires you to challenge people’s familiar reality, it can be difficult, dangerous work. But as a leader, you need to find a way to make it work. This is long, hard work. If the mission and vision are compelling, then it’s worth it. Who said worthwhile work was easy? If you would like help with this, check out the work of Ron Heifetz. He’s been teaching and consulting on this for over thirty years. But there are some things that just cannot be fixed and need to be ended. “The tomorrow that you desire and envision may never come to pass if you do not end some things you are doing today,” says Henry Cloud in his immensely practical book Necessary Endings. If something is draining your life and diminishing your spirit, you had better do something about it, because the trajectory of where this is taking you is not good. It either must be fixed or ended, but it cannot continue without serious consequences. But ending something is not easy, and we often experience them with a sense of hesitation, sadness, resignation or regret. We see it as failure, and that feels bad. You don’t know what to do and are stuck. But you feel the life slowly draining from you. You must end some things. Purchase Henry Cloud’s Necessary Endings. It’s written like he’s sitting there with you having an in-depth conversation about your situation, and what’s going on inside you. Have several confidants with whom you process your thoughts and feelings. They can ask you good questions that keep you from disaster. These dragons are matters that you cannot deal with ‘on the fly.’ You really need dedicated time away to think deeply, pray earnestly, and discern your next steps. But act you must — or you slowly die. Take that personal retreat (I talked about that in another blog). Face your dragons. Your life matters. You will likely find that the dragons are not as impossible as you feared. You just need to face them and take action. Taking action is the subject of my next blog. Question: What stands out to you from this blog? What have you found helped you deal with the dragons in your life?